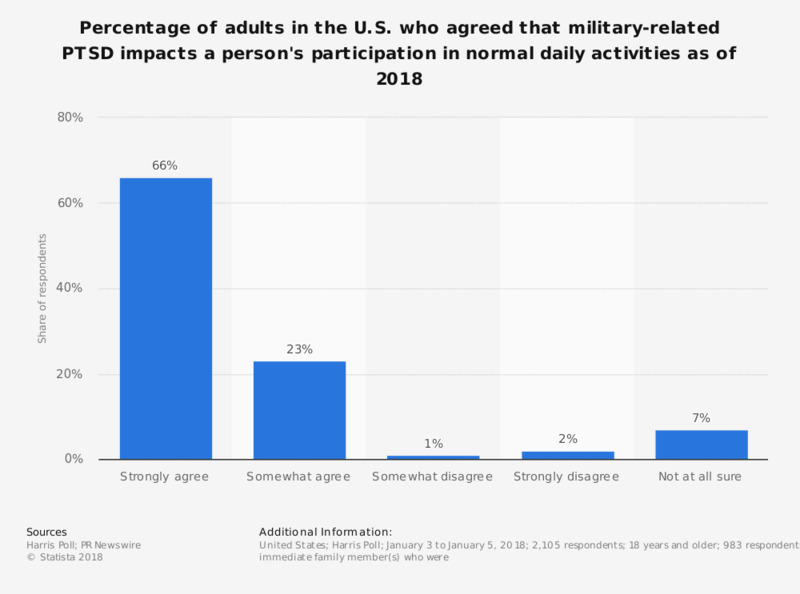 This survey shows the percentage of adults in the U.S. who agreed that military-related PTSD impacts a person's participation in normal daily activities as of 2018. In that year, around 66 percent of survey respondents strongly agreed that PTSD has major impacts on a person's ability to participate in normal daily activities. Question wording: How much do you agree or disagree with each of the following statements about post-traumatic stress disorder (PTSD)? Military-related PTSD has major impacts on a person's ability to participate in normal daily activities (e.g., holding down a steady job, maintaining/starting relationships/friendships).